This piece is 44x66 inches. 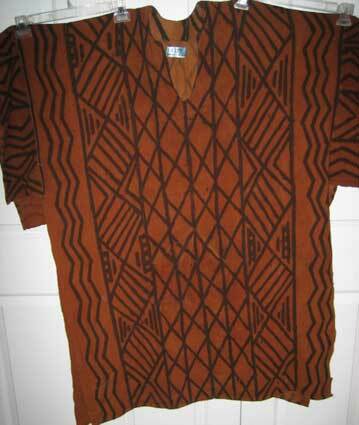 Traditional African mudcloth sheets are handwoven and made one at a time. 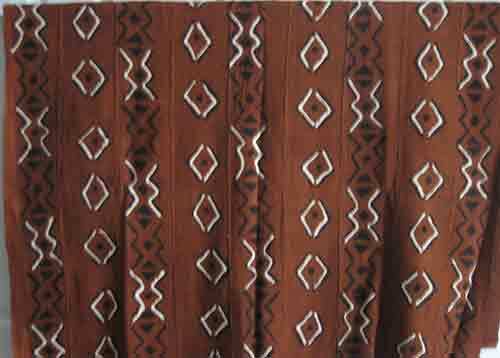 No two pieces of mud cloth are exactly alike, so the colors shown are available, but the exact patterns vary from one piece to the next. They're great for clothing, home decoration, crafts and other creative pursuits. African artisans hand-dye symbols into these fabrics in order to tell stories of their villages and African proverbs. Mudcloth has a long tradition of being used by West African warriors and hunters to camouflage themselves. Nowadays, people across the globe are wearing them to stand out and celebrate their connection to the African continent. These mudcloth pieces, which are made in Mali are "Lapa" size. 45" x 72" (4 x 6 feet).